In the process of building my company, I would often find myself jolted awake at 3 a.m. wondering if there was some regulation we weren’t compliant with. And how would I even know? So, I’d grab my laptop and start searching everything from, “What are the labor laws in my area?” to, “Do I have to provide disability insurance?” After reading confusing, jargon-filled documents, I’d glance over and see 6:00 a.m. flashing across the clock, indicating that it was time to head into the office. This scenario seems all too common for a busy startup founder. While many universities provide classes on negotiations or sales, often an entrepreneur is left without training on the actual legalities of running a company. I know I felt that way as we got off the ground. But this lack of education can lead to unintentional—and costly—mistakes. Last year, a former Zocdoc employee sued the company for a culture they believed replicated a college frat house. But why didn’t the employee speak up sooner? 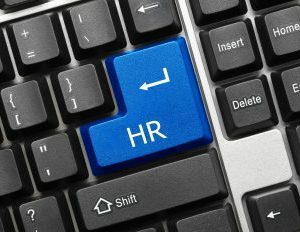 Many startups don’t have the right infrastructure to deal with HR infractions and collecting feedback from employees isn’t a priority. Offering employees an open door policy with management and a forum to voice grievances can make all the difference. Having company policies outlined can prevent confusion and avoid preventable litigation. For instance, as BoardVitals grew, it was important for all members of the team to be on the same page about company policies. In our onboarding guide, we created a central document where employees can learn about sick days, vacation time and company procedures. This sort of guide helps employees get up to speed on company policies and inner workings.